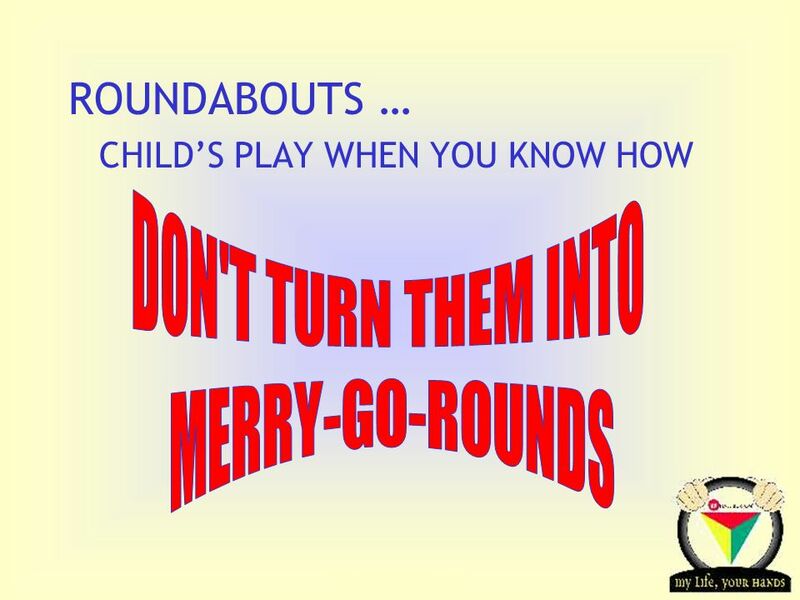 Transportation Tuesday TRANSPORTATION TUESDAY ROUNDABOUTS THERE’S NOTHING MAGIC ABOUT THEM. 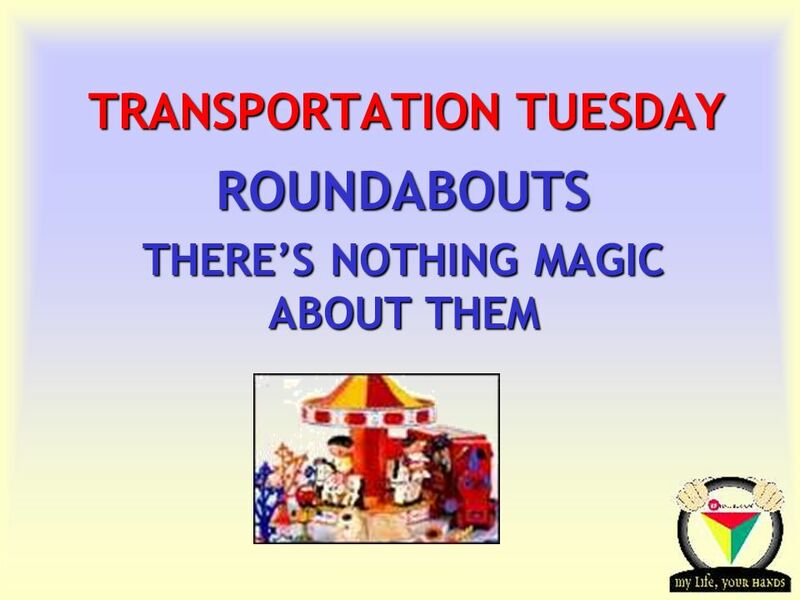 Download ppt "Transportation Tuesday TRANSPORTATION TUESDAY ROUNDABOUTS THERE’S NOTHING MAGIC ABOUT THEM." 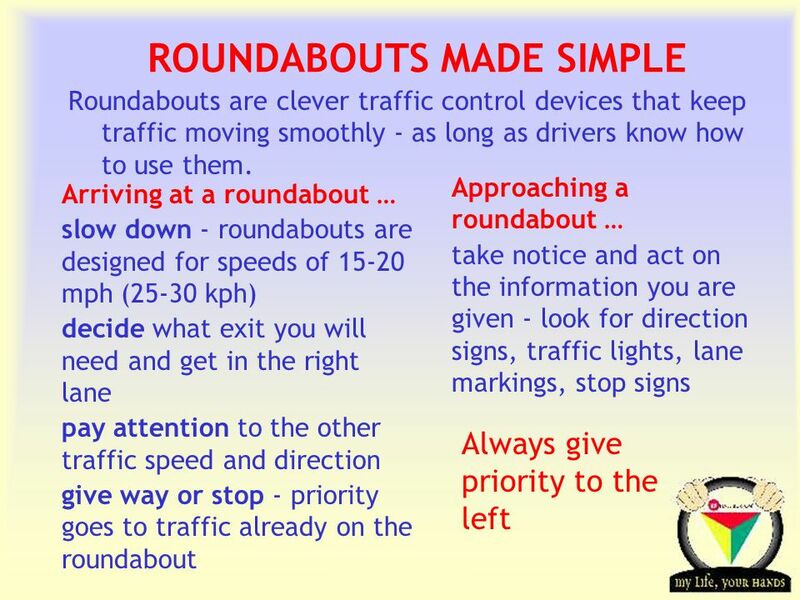 Sample questions from the Motorway Rules units of the Driving Theory syllabus. ESOL for Driving. Speed Limits 25 Speed Limits 35 Speed Limits 50 Speed Limits 55 Speed Limits 65. 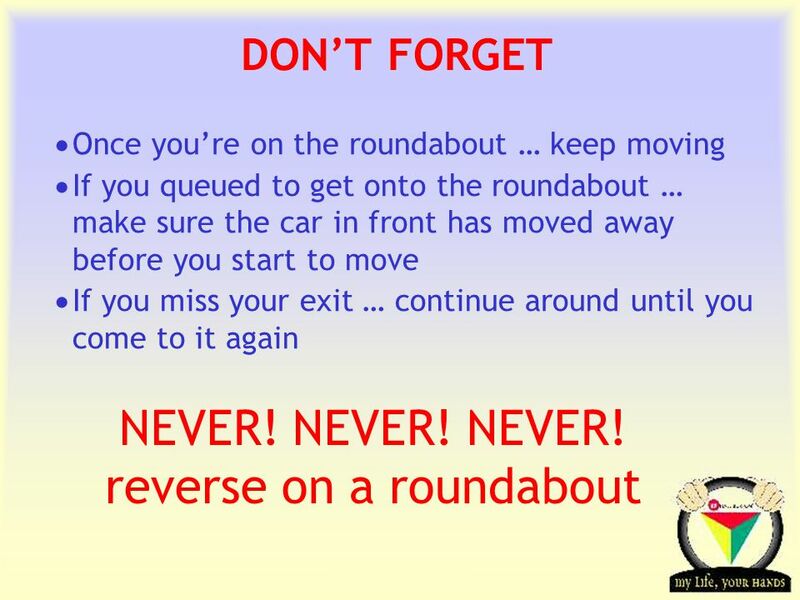 Transportation Tuesday TRANSPORTATION TUESDAY DON’T GET STUCK WHEN OVERTAKING. Transportation Tuesday TRANSPORTATION TUESDAY Your boss shouted at you. Your son misbehaved at school. Your dog made a mess in the kitchen. You’re already. Transportation Tuesday TRANSPORTATION TUESDAY There’s nothing I hate more than intolerance (Anon) Remember the little guy... High in your truck or protected. 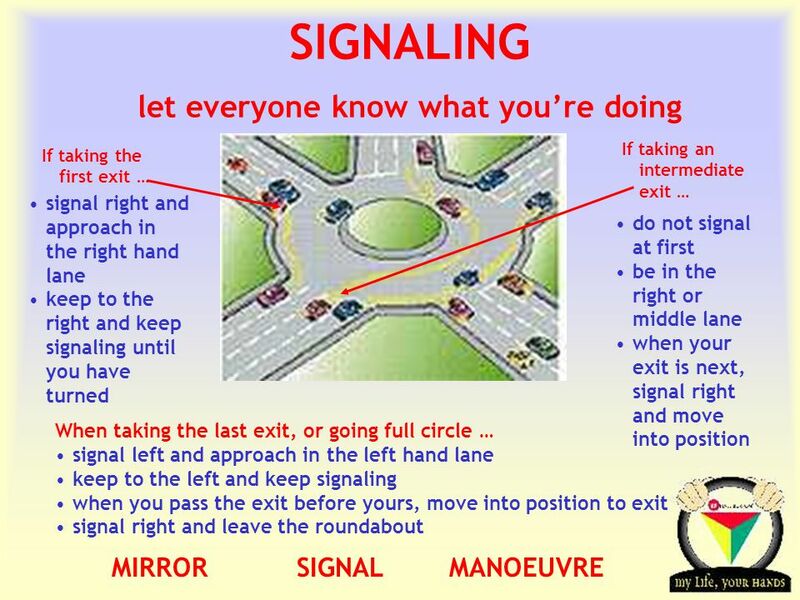 Driving Maneuvers and how to do them by J. M. Christensen and how to do them by J. M. Christensen. University of Connecticut-Stamford Campus Safety Orientation. Transportation Tuesday TRANSPORTATION TUESDAY Can you manage driving in fog? 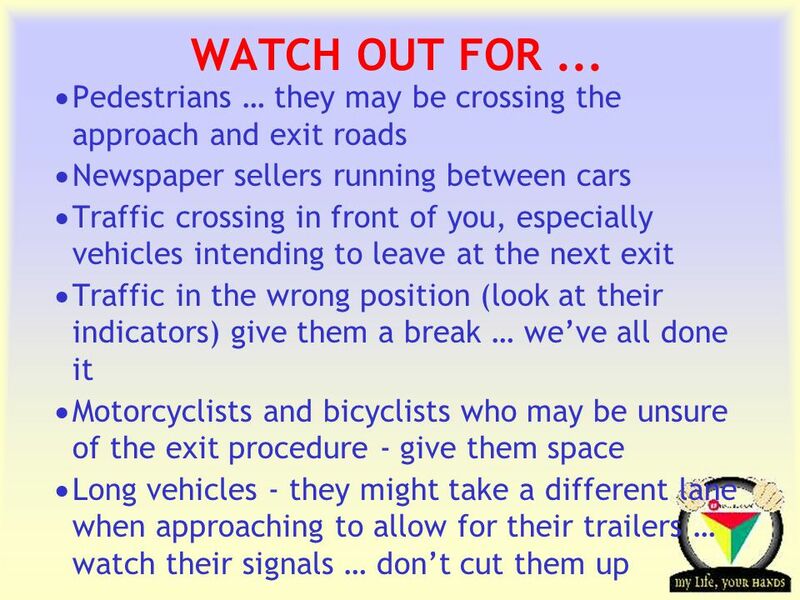 When driving on a normal day you must be alert and defensive at all times. SHARING THE ROAD WITH HEAVY VEHICLES You don’t have to be told there are a lot of trucks on the road. But do you always drive or ride with trucks in mind? Transportation Tuesday TRANSPORTATION TUESDAY Even at 25mph, the force of a head-on collision is the same as pedaling a bicycle full-speed into a brick.